My name is Michelle Bell, and I am so excited to be at Wilson this year! I am beginning my 18th year as an orchestra director, and I am passionate about the difference that a quality music education can have on a child’s future. I recognize that only a handful of students will leave my classroom and go on to become full time musicians or orchestra directors. My hope for all of my students is that they leave my class with a lifelong love of music. In my orchestras, students learn life lessons about self-discipline, goal setting, cooperative learning, integrity, teamwork, responsibility, commitment to something larger than themselves, and hard work so that they can go out into the world and discover the cure for cancer, invent the latest technologies, and impact their world (and ours) in a positive way. It is my goal to produce outstanding orchestras, outstanding musicians, and outstanding people. I was born in Buffalo, NY, grew up in Arlington, TX, and went to college at Northwestern State University in Natchitoches, LA on a full music/academic scholarship. I have been playing violin since I was 10, and learned the rest of the instruments in college. I was on the rowing team for 4 years, sang in the choir, and played cymbals in the Spirit of Northwestern Marching Band as well as played in the orchestra. After I graduated, I moved back to the DFW area. I have taught in the Carrollton Farmers Branch ISD for 11 years before coming to NISD, with the last 8 as the head director at Ted Polk MS. I have an amazing husband named Mr. Bell (we just got married a few years ago! ), and we have 4 children between us: Austin is 18, Claire is 10, Brody is 9, and Jillian is 8, plus a fluffy dog named Finley. When I'm not at school, I'm hanging out with my family and friends. I also really enjoy photography and traveling to new places. As the Wilson Orchestra begins its seventh year of musical excellence, I am excited to welcome you as your child begins or continues a journey with this orchestra which will be exciting and fulfilling. I hope that each of you will feel pride in being part of our new “orchestra family”. If you have any questions please contact me! Hello! 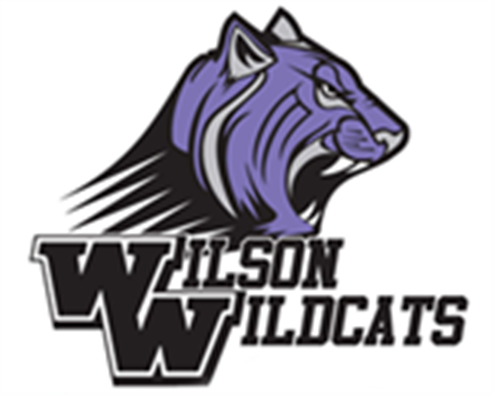 My name is Shannon Stevenson and I am thrilled to begin my 15th year of teaching as a Wilson Wildcat! It is my hope that all of my students leave my classroom with an appreciation for music that will last a life time. I firmly believe that music as a part of education is essential for the development of the whole child. It is my goal to instill a love for music and skill on an instrument that my teachers instilled in me. Over the years I have seen shy and reserved students blossom in my classroom. Orchestra becomes an extension of their family and bonds are created that otherwise would not be. I echo everything that Mrs. Bell stated above and it is my hope that you will see it in action as the year progresses. I was born and raised in Arlington, TX and am a proud graduate of Arlington High School. I attended Northwestern State University in Natchitoches, LA along with Mrs. Bell. I cannot tell you how thrilled I was when the opportunity to work with Mrs. Bell was presented to me. She is a teacher second to none, as I'm sure you already know! I was the principal cellist in the NSU Orchestra and performed in one of the NSU Quartets as well. While at NSU I performed in the choir and learned how to play all of the other instruments as well. After graduating from NSU I moved to Fredericksburg, VA where I directed two middle school orchestras. Both programs saw significant growth in the time that I was there. After moving back home to Arlington, TX I taught elementary strings for one year and then moved to Lamar HS. I believe that teaching high school has given me a greater appreciation for the type of teaching needed at the middle school. It is my goal that your child will have the skills needed to succeed and excel as they transition to high school. I am married to Mr. Stevenson, or Coach, as his students call him. Together we have Alyson who is 15, Logan and Janie who are 11, and Harper is 4. When I am not at school I am either in the stands under the Friday Night Lights with my husband (who is an athletic trainer at Bryon Nelson HS) or spending time outdoors with my family. We love to travel in our camper and spend time on the lake in the summers.